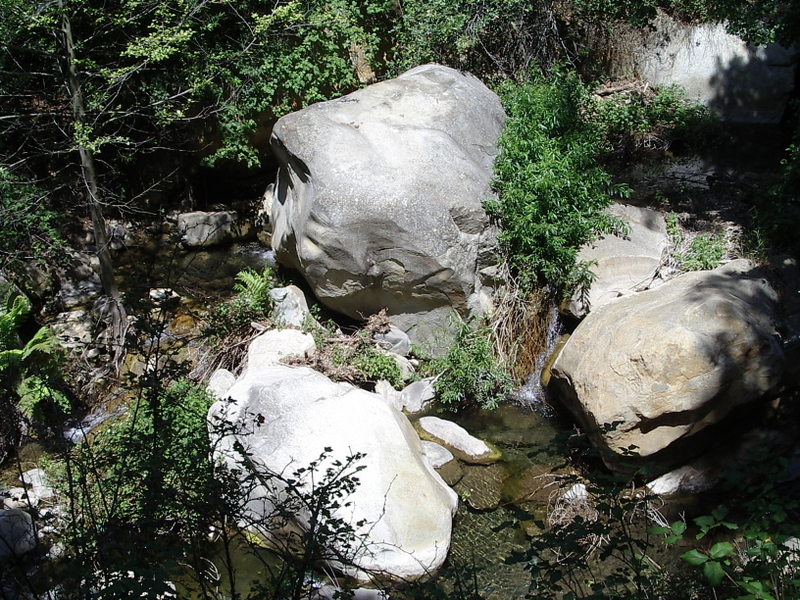 For a short hike with a little bit of water falling at the end, we selected to wander a little way up San Ysidro Trail just behind Montecito, oddly close to the road by the same name. Although then there was a right at East Valley Rd. and a left at Park Lane and keeping right at a Y with East Mountain Dr. after turning north on San Ysidro. The road ends at the trail since someone has decided the rest should be a private road these days. The trail meanders past a few houses and then follows the road shortly before going back to the more general trail-ish style of travel. The trail follows a stream along up the mountain. A bit of stream along the trail.